On June 6th, the UN Security Council unanimously adopted the Resolution 2419 (2018) to “consider ways to increase the inclusive representation of youth for the prevention and resolution of conflict”, considering the crucial role of youth in “building sustainable peace”, “promoting a culture of peace” and protecting youth from violence and conflict at the same time. As this resolution’s recognition of the increasing role of youth with its influence in peace-building, an event advocating peace to national leaders was led by international youth. The International Peace Youth Group (IPYG) and Heavenly Culture, World Peace, Restoration of Light (HWPL), an international NGO under the United Nations Economic and Social Council (ECOSOC), held a two-day event called the “Peace Letter Campaign” at 35 locations in 7 major cities of South Korea on 9th and 10th of June, including Seoul and Paju where the recent inter-Korean summit and declaration of Panmunjom was announced. At the event citizens, especially students, wrote letters with the contents advocating efforts of peace by their national leaders. 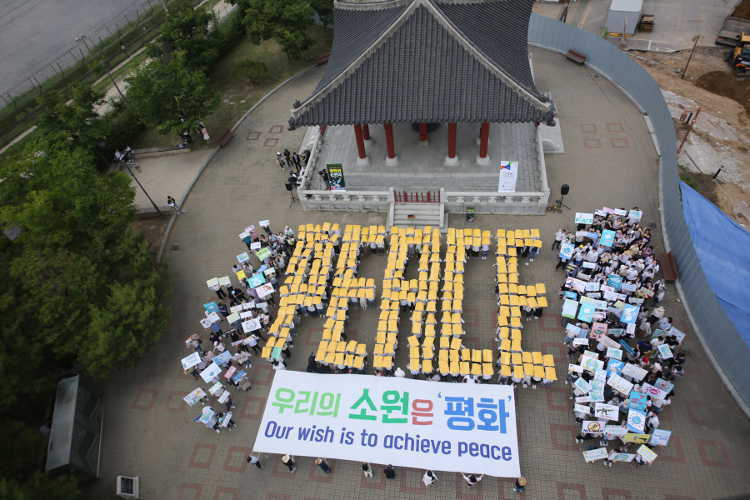 According to the IPYG, 20,006 peace letters were written and collected in two days of the event through youth participation. The IPYG further said that the letters will be delivered to the two leaders of the two Koreas when they reached 150,000 in number. As a backbone of the youth-led advocacy campaign for peace-building, the IPYG introduced “the Declaration of Peace and Cessation of War (DPCW)” with 10 articles and 38 clauses, which stipulates peaceful dispute settlement, disarmament, religious and ethnic freedom, and spreading a culture of peace. “I realized that I should be aware of the issues of the international community to join in peace activities that will end the war in our times,” she added. “The future of Korea is youth. If young people are interested in reunification, and take the lead for it, we can achieve peace on the Korean Peninsula. The start can be a letter of heart. 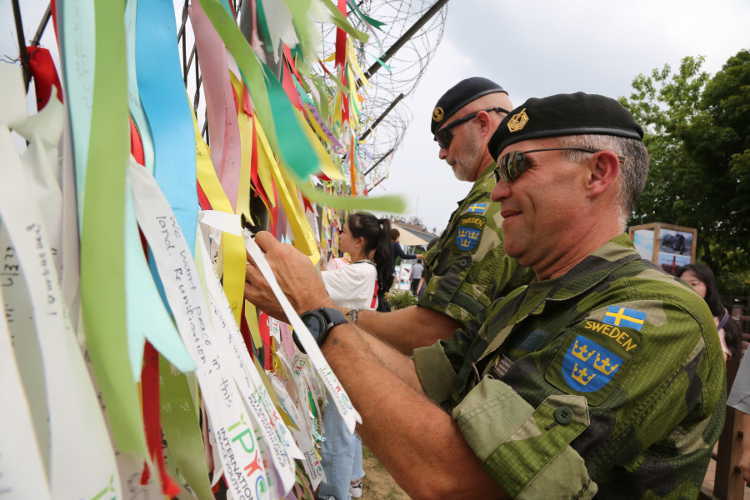 We will work hard so that youth can be more interested in and lead the peaceful reunification,” said Mr. Peter Jung, General Manager of the IPYG. The IPYG has initiated a youth network for peace with 851 youth organizations in 110 countries around the world. The IPYG says that the “Peace Letter” campaign has also been held globally and the letters advocating peace-building in their countries will be delivered to their national leaders.